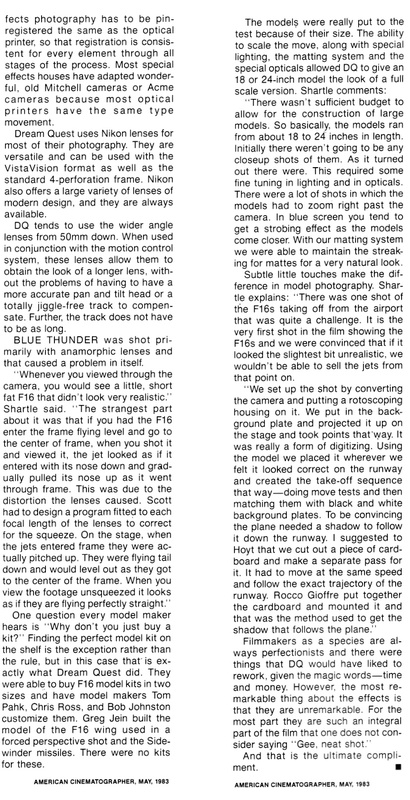 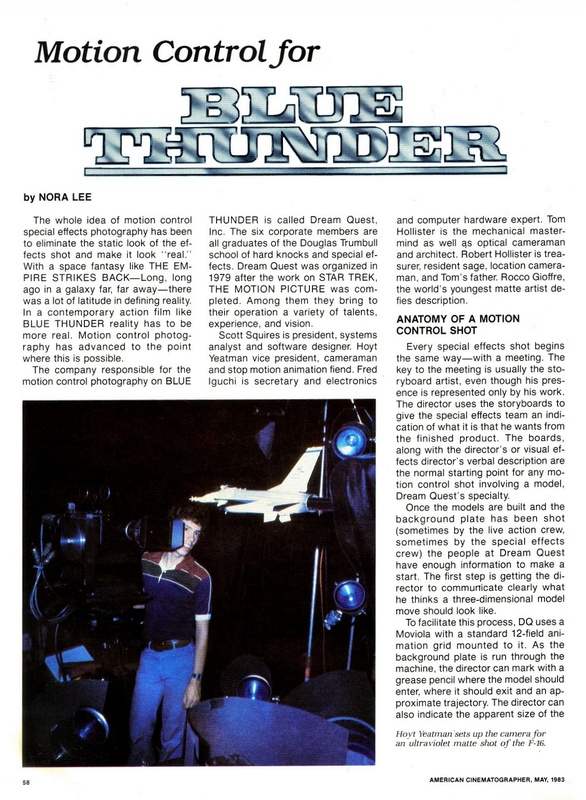 Enjoy this final article from the May 1983 American Cinematographer – bringing this series of posts to its conclusion. 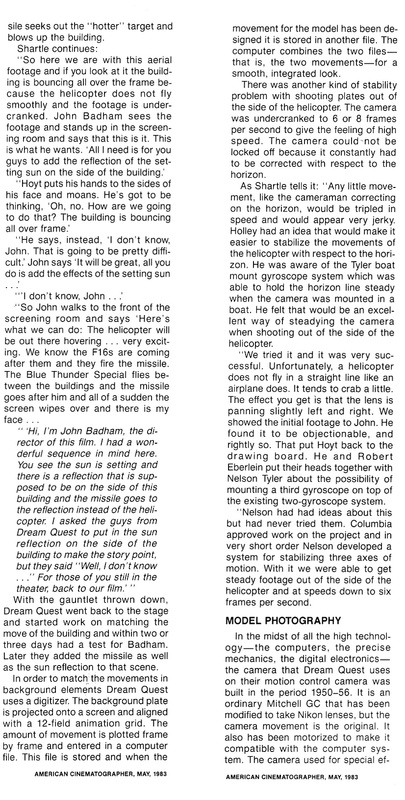 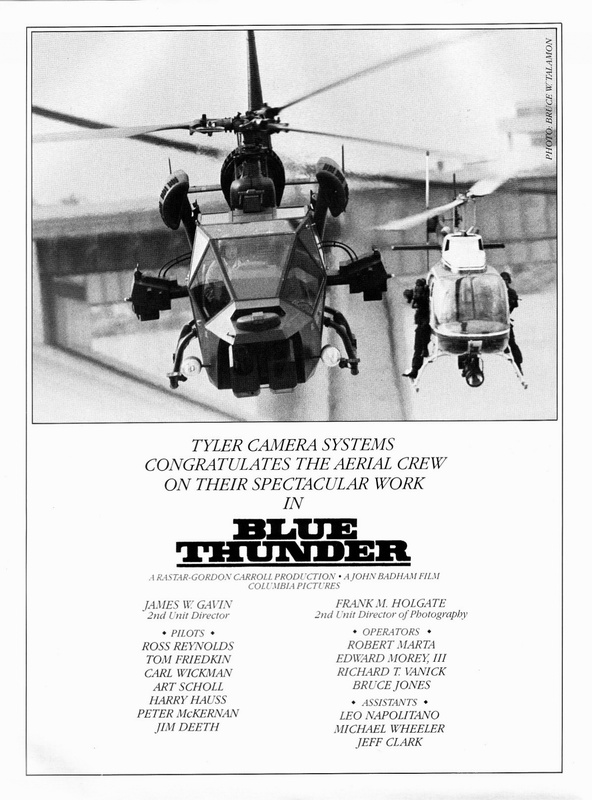 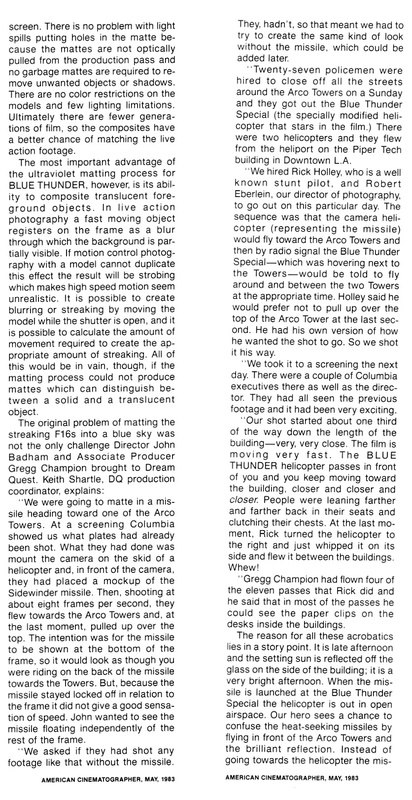 I’ve also included a scan of the full-page ad taken out by Tyler Camera Systems congratulating the crew on its aerial photography work on the film. 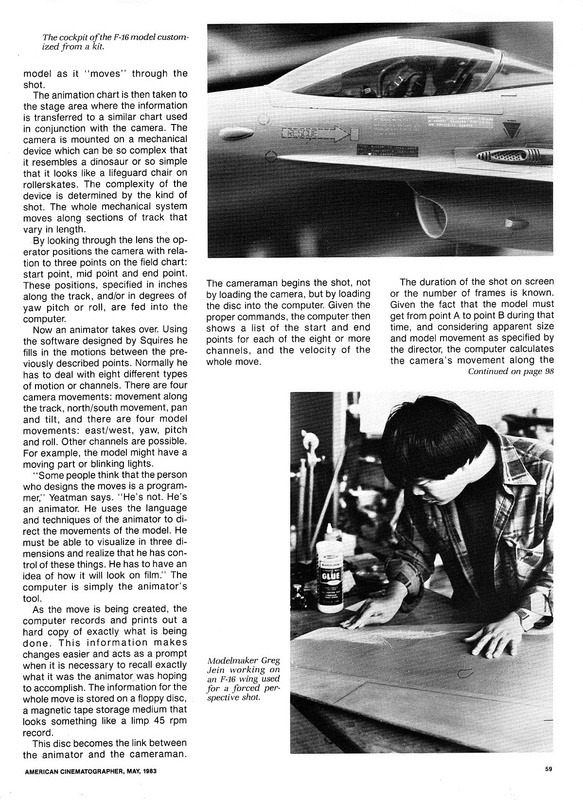 Will we ever see its like again the digital age..?